Jane has always been interested in music, mainly through her love of singing. She started singing regularly in Castle Acre Folk club in 2007. There she met like-minded people who introduced her to other venues and soon she was travelling many miles every week, visiting as many as she could. 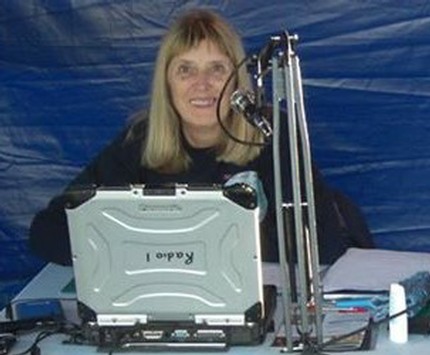 In 2009, through connections made during that time, she was invited to help run the weekly Folk Show on Wayland Community Radio where she eventually ended up driving the desk. This continued until the demise of Wayland Radio in August 2010. As she was sad to lose the musical connections she had made via the radio she and her partner decided to set up their own radio. After a lot of research and planning Folkspot Radio took to the airwaves on April 1st 2012. Although Jane started this whole adventure via Folk clubs her musical tastes are very diverse hence the change of name to West Norfolk Radio. Now she can play any music she enjoys and meet some of the people behind the music. Jane is the music and program director and has the unenviable job of deciding who is on the stations playlist and show list.